A meteor exploded over Siberia on Saturday. Onlookers were left panicking when a meteor exploded over Siberia in Russia on Saturday. According to The Siberian Times, the "blindingly bright" meteor exploded with a loud noise at about 7pm, local time. It split into several parts before disappearing over the Irkutsk region, east of Krasnoyarsk. "I panicked as it sounded and looked like a plane on fire, I got really scared of the noise and shine it created," said a local woman from Krasnoyarsk city to The Siberian Times. "I pulled a phone out of a pocket, but it flew across the sky so fast that I only caught a long white trace it left." 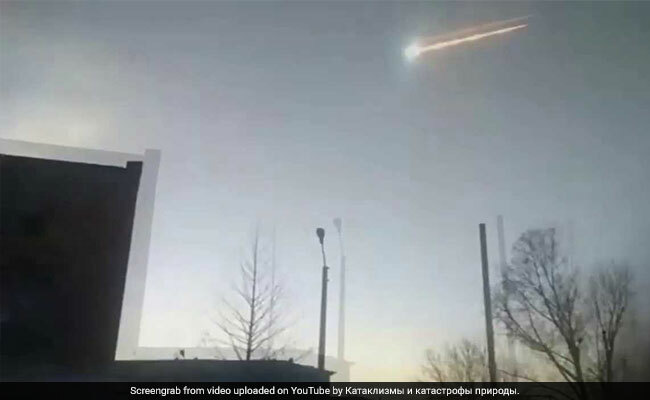 Another resident of Krasnoyarsk described the meteor as resembling the light and sparks created during welding work, while a third likened it to a UFO. One man, speaking to the Sun, called it the most beautiful thing he had ever seen and said he heard a loud boom as it vanished - "as if something was exploding in the sky." This is the third major meteor event over Russia in four months.